The wisteria at Longwood was wonderful. 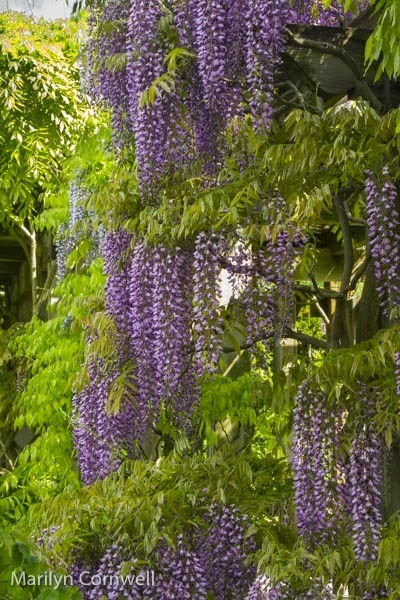 The wisteria garden is a semi-circle of wisterias trained as trees. 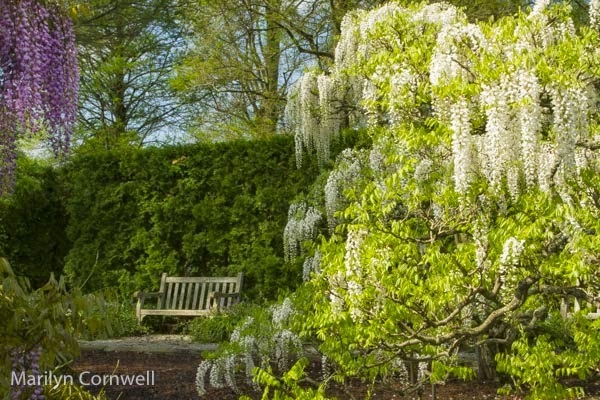 It concludes in a wisteria arbour and a bench that one can sit on to contemplate and relax. Arriving early in the wisteria garden is necessary if one wants pictures without people. We couldn't resist going back in the afternoon to see the changed light. People buzz from tree to tree like bees, taking pictures, smelling the flowers, looking at the amazing blossom trees.